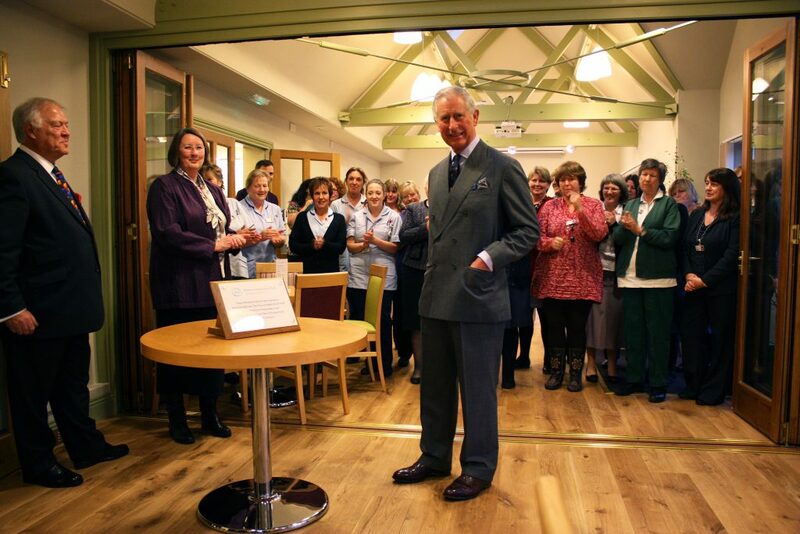 The Prince of Wales has formally agreed to renew his commitment to Weldmar Hospicecare by extending his Patronage. His Royal Highness has been Patron of Weldmar Hospicecare since the inpatient unit in Dorchester opened in 1994 when he visited to see the new building, following its opening in January that same year. Since then, The Prince of Wales has made several visits to meet with patients and staff. Weldmar Hospicecare provides high quality end of life care to patients living with cancer and other life limiting illnesses throughout Dorset. This care is given in the comfort of patients own homes, via Day Services held throughout the county or as inpatients at Joseph Weld Hospice in Dorchester. Weldmar Hospicecare will be marking our 25th year through a series of special commemorative events and activities launching with a thanksgiving service on Saturday 26th January at Milton Abbey. We are also setting up our first ever Weldmar Community Choir made up of staff, volunteers, patients, family members and supporters.